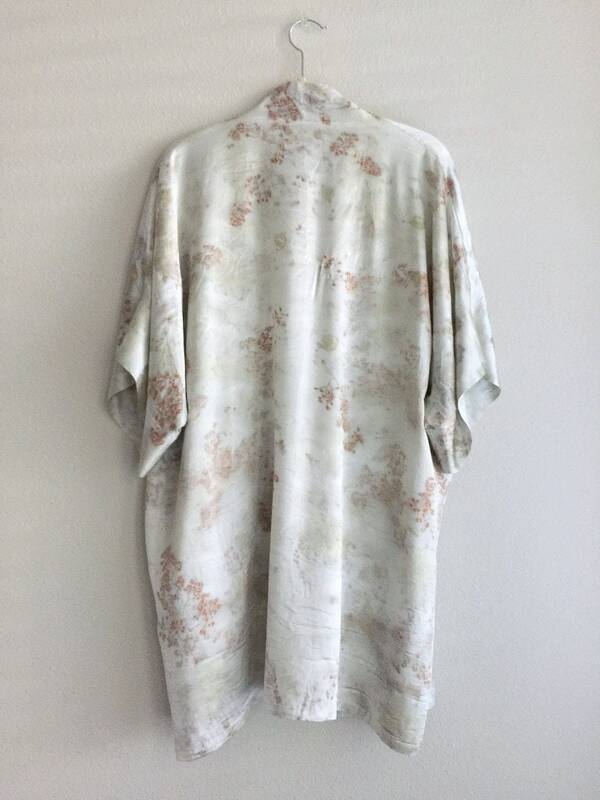 100% silk kimono robe, luxurious and soft. 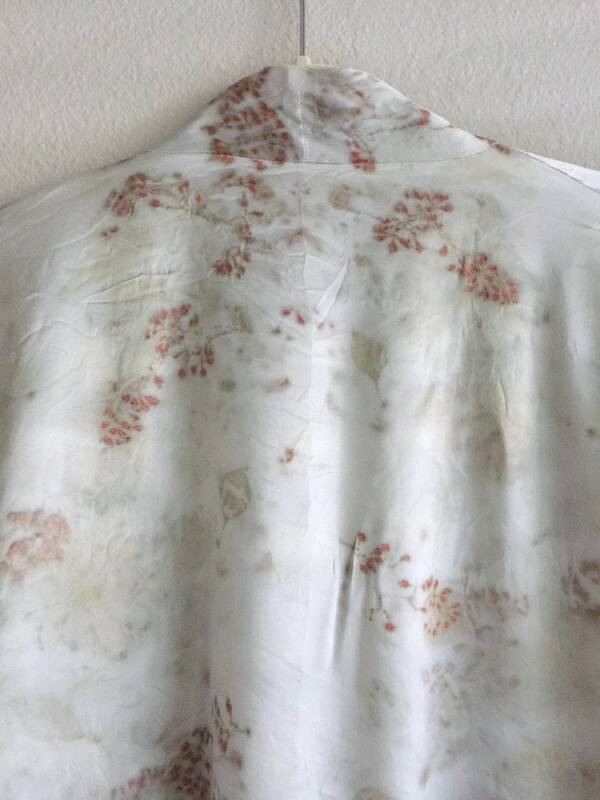 Hand dyed and botanically printed with eucalyptus foliage and mum flowers. 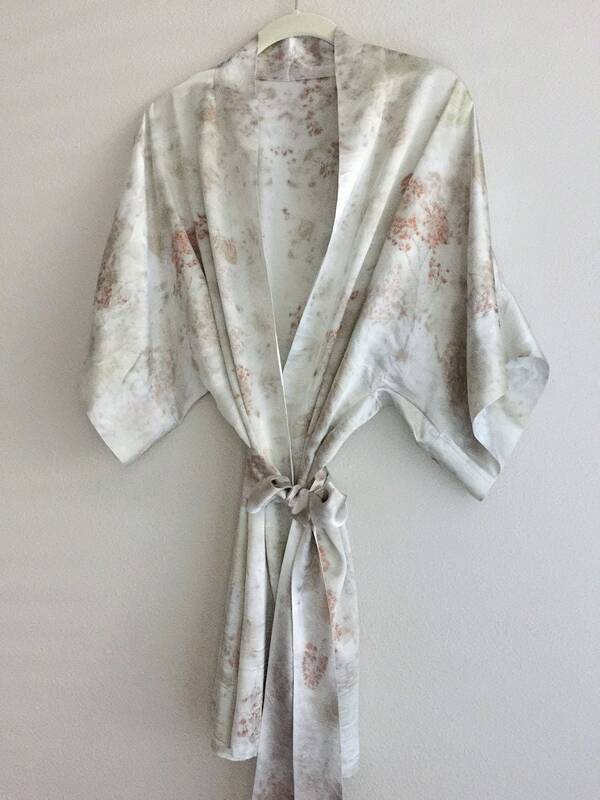 A one of a kind kimono to wear at home while practicing slow living or out with skinny jeans! 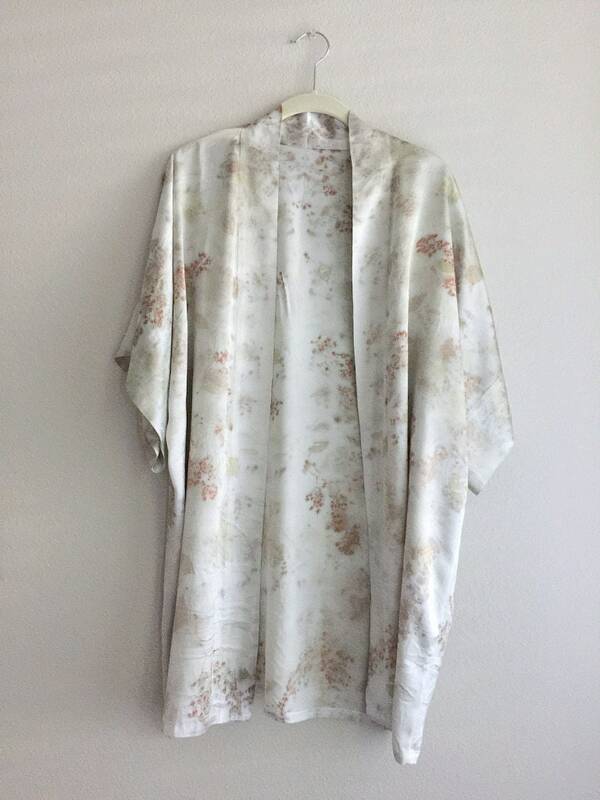 It also makes a lovely getting-ready bridal robe and honeymoon loungewear. 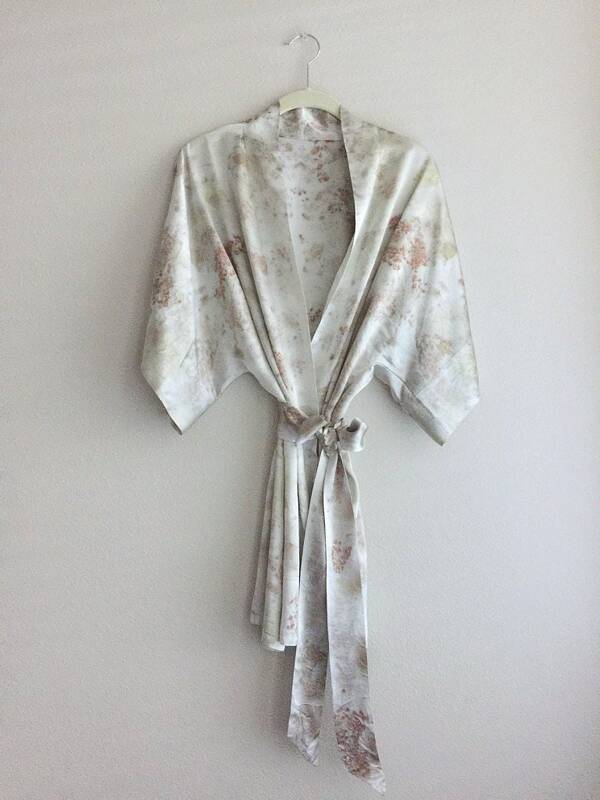 This kimono is made in the USA with luxurious silk charmeuse textile and has a soft drape. Sheen on the outside and muted on the inside. Slow crafted by hand for several days. 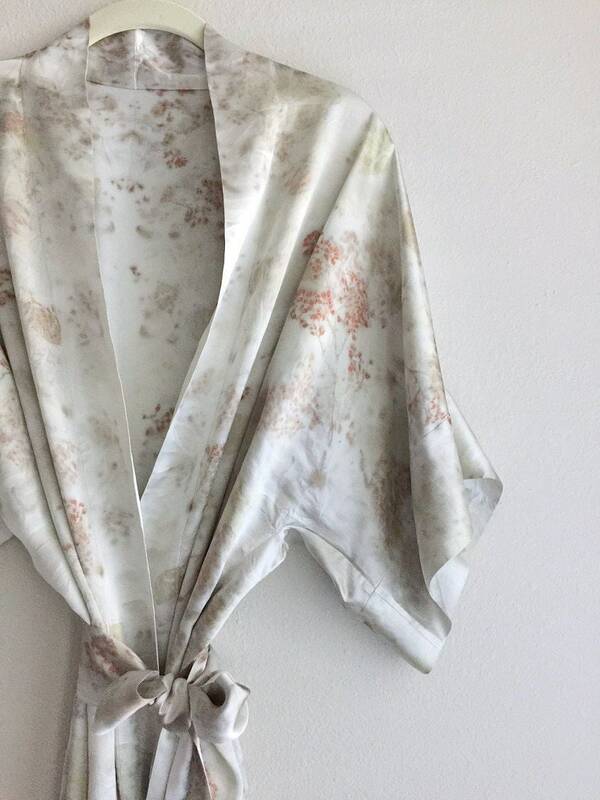 From hand dyeing silk using natural dyes from foliage and flowers, to lightly pressing for a natural texture. You are buying a "living color" that may appear to change depending on the lighting. 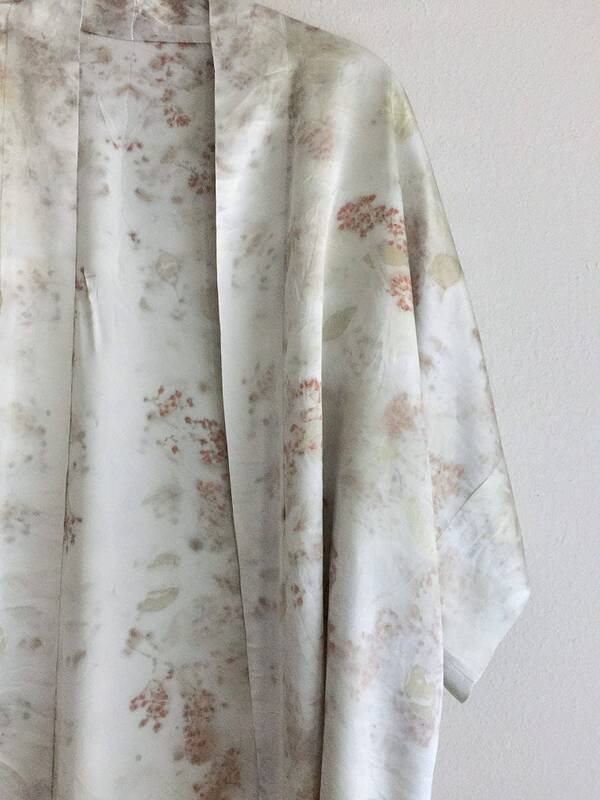 The kimono may have marbling and speckles from our natural dyeing process which embraces imperfection. Hand wash with a pH neutral organic soap to maintain the healing properties in the cloth. 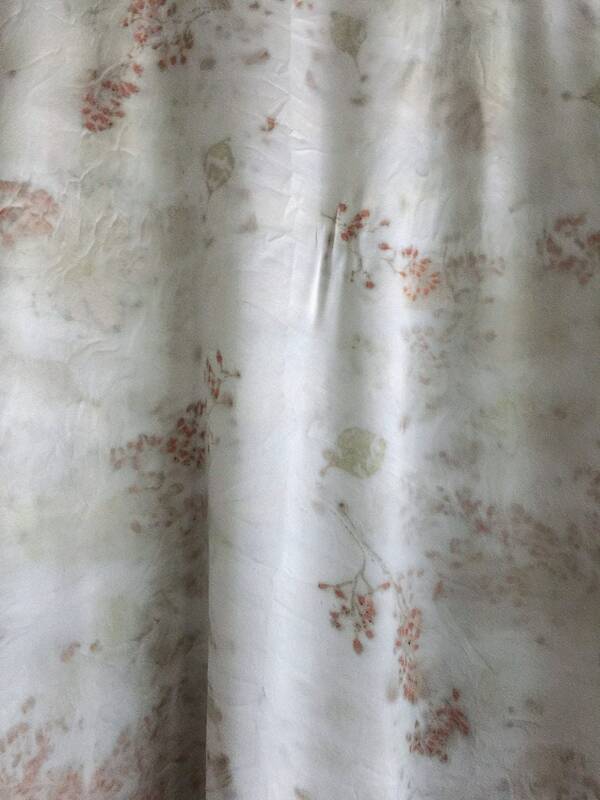 Natural dyed colors are effected by a change in pH. To wash, I recommend Dr. Bronner's Pure Castile Liquid Soap. Iron on medium-high setting. Follow me on Instagram @thepoetryofsilk for new color updates. 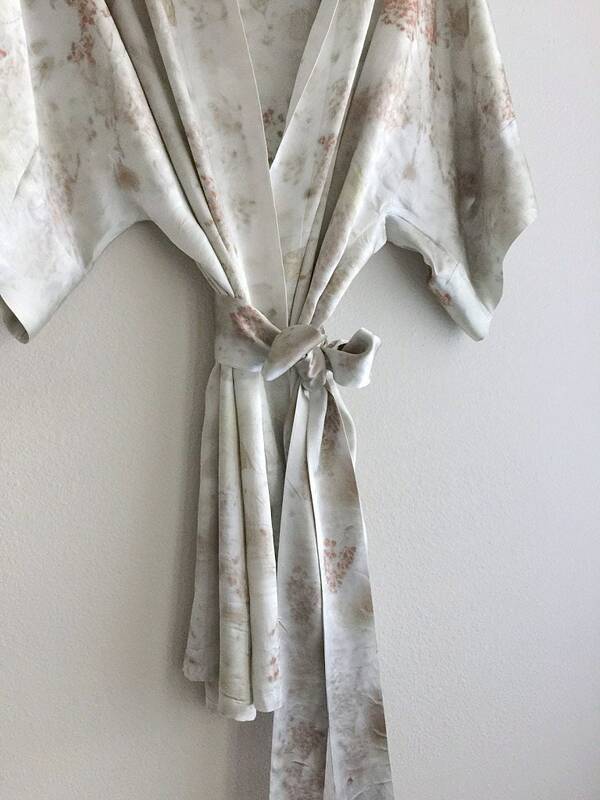 We would love to see you wearing your kimono! Tag us to see your images for a chance to be featured.